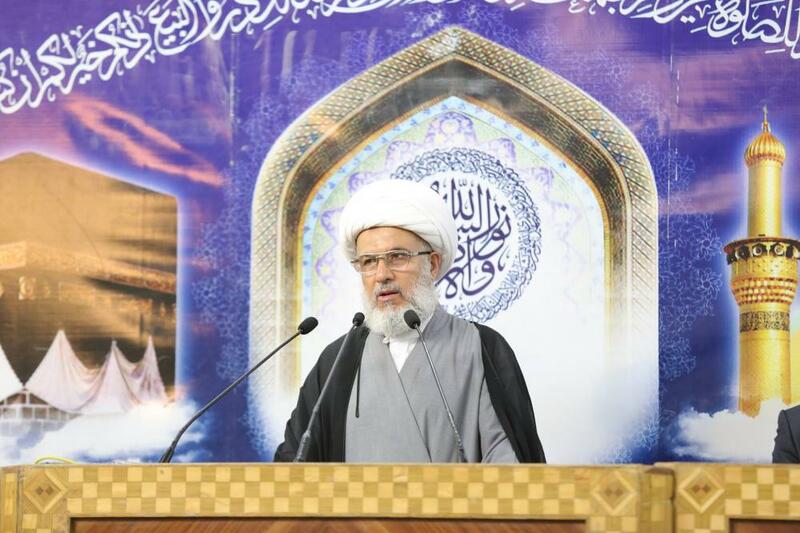 The Supreme Religious Authority: The Iraqi people can no longer tolerate the poor performance of the officials and the bad services caused by corruption. The Supreme Religious Authority has shown that the Iraqi people can no longer tolerate the poor performance of the officials and the bad services caused by corruption. First: We affirm our absolute rejection and condemnation of the blatant attacks on the peaceful demonstrators, especially the shooting of them, which led to the death of many of them and the injury of many others. We also strongly condemn the attack on the security forces charged with protecting government buildings and installations by throwing stones, Molotov and so on, injuring dozens of them, and also condemning the attacks on public and private property, by burning, breaking, looting and so on. In addition to being unjustified by law and customs, these practices cause new crises and complicate the solution of the problems currently facing citizens. We therefore call on all to stop these practices and not to use violence, especially excessive violence in dealing with protests and avoiding overtaking public and private property. Second: The oppressed Iraqi people has been patient for a long time after the fall of the former regime, suffering of terrorist attacks, which caused hundreds of thousands of victims, widows and orphans, and then presented the best of his sons in defense of Iraq and its holy sites in a fierce long war against the ISIS terrorism. And most of the people has suffered many harm and deprivation for fifteen years, hoping that the new regime will create a different situation from the past, in which the people can enjoy a dignified and stable life. This patient people can no longer be patient to see and feel the officials' indifference to solving the increasing problems and difficult crises, but rather they are busy and preoccupied by arguing between each other on the political gains, the spoils of positions and government positions and allow foreigners to interfere in the affairs of the country and make it the regional and international arena for bickering and conflict on foreign interests and agendas. Third: The suffering of the citizens in Basra and in other province from the lack of the basic servics, the spread of poverty, unemployment and the spread of corruption in various government departments. This is a natural result of the poor performance of senior officials and those with sensitive positions in the successive governments, which were built on political quotas, nepotism, and the lack of professional care and efficiency in the selection of officials, especially for important sites and services. And this cannot change this tragic reality if the next government is formed in accordance with the same foundations and criteria adopted in the formation of previous governments, and hence, there should be a pressure so the new government be different from the previous ones, taking into consideration the efficiency, integrity, courage, firmness and sincerity of the country and people in the selection of senior officials. Fourth: The follow-up of the representative of the supreme religious authority to the problem of water in Basra revealed the extent of the government's failure to deal with this issue, as it appeared that is was possible with some effort and a bit of money, which is not an excessive amount compared to the government's potential, to alleviate the crisis to a large extent, but the inefficiency of some officials, the carelessness of others, the administrative routine, the intersection of the concerned bodies and other similar obstacles, which have exacerbated the problem leaving it reach this suffocating level. It is essential that decision-makers in the executive authority follow up the necessary and serious strategic projects, especially in relation to infrastructure, and take quick decisions as determined by competent experts, and not to leave things in a state of tension between officials, or the adoption of routine mechanisms that impede the achievement of the project, which should be implemented in 6 months not in several years. Fifth: Because many of the existing problems need some time to be solved, it is necessary for officials to show clear seriousness in taking the necessary steps in this regard, so that the citizens have some trust that there is a real will to end their suffering. This helps to calm the souls and reduce tensions, and what will contribute to that is the presence of senior officials of ministers and others in the workplace and personal follow-up of the works' process, and listening to the demands of citizens and seek to meet them as possible by bypassing routine administrative procedures In this regard.